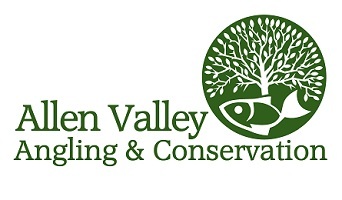 This page is dedicated to keeping members, sponsors and funding providers informed of the events and activities undertaken by Allen Valley Angling & Conservation. Thank you to all that came to the AGM it was a fantastic night and once again the Golden Lion did us well for the venue! For those who could not join us please find the links to both the AGM presentation and the minutes from the meeting, again thank you all for your support and input from all of us on the Committee. The Day started as always with bacon buttys and coffee with of course the talk turned to all things fishing; it was not long before we were ready to set off to our chosen beats in search of some Pennine Gold! 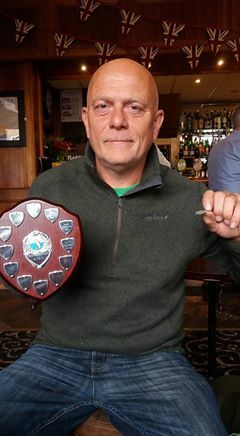 It seems we have a trend going….. Low and Clear once again made for hard going most folk found a few fish, there was a nice Trout for Cliff that took second spot but this year’s winner was Mark Charlton with a lovely 12” fish from up near Allenheads. Thank you to all that fished and see you again next year for another fantastic Lead Trout Trophy. The curse of low water strikes again! Fishing was hard, REALLY hard some found one or two fish others blanked compleatly but to the anglers who put the miles in they where rewarded with some good sport, high up the river in the head waters around Allenheads the fishing fast and furious with good sport being had by the few anglers that made the journy up there. 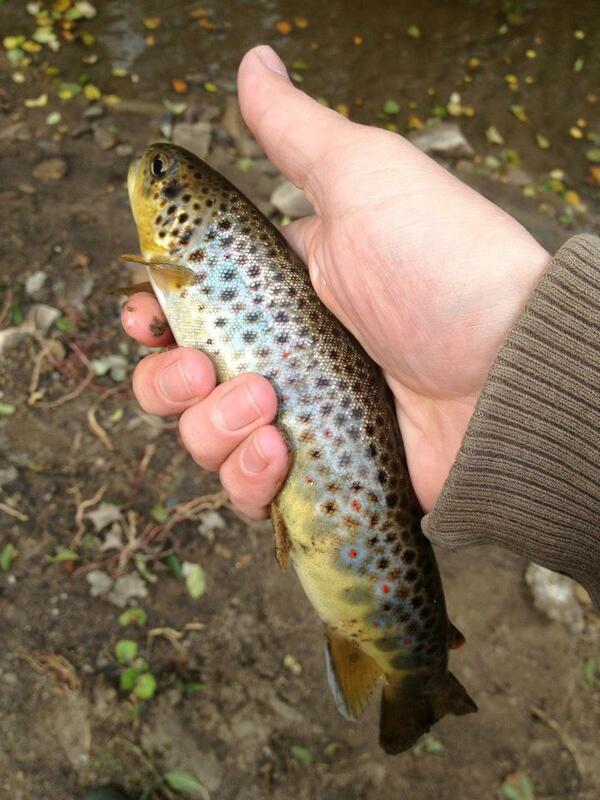 this is where the winning fish came from a lovely Brown Trout taken by John Day, Congratualtions that man! A swift return to the Pub for a pint and some chips ( and the 45 left over bacon buttys) saw the competion come to a close for another year! 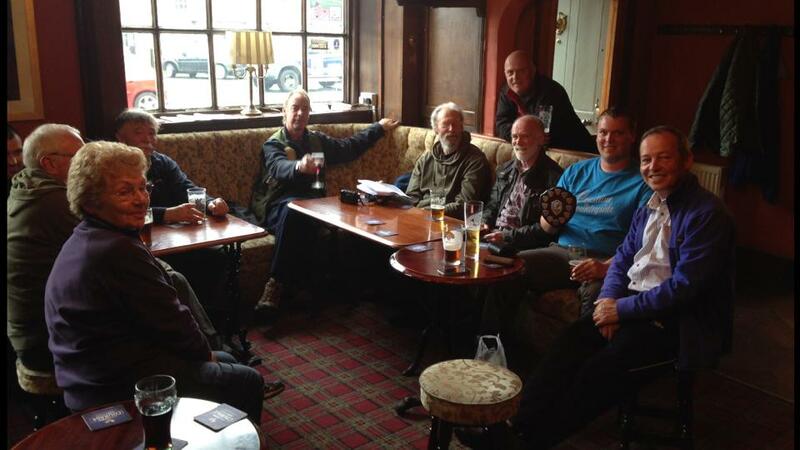 Once again the event fell upon a dry spell with low clear water fishing was to be difficult, there were 12 members fishing the competition all meeting at the golden lion for a quick coffee and bacon bun before the fishing commenced. Fishing was hard going with clear water and low levels it was always going to prove a challenge, despite these difficulties everyone caught making the competition something of a close one! 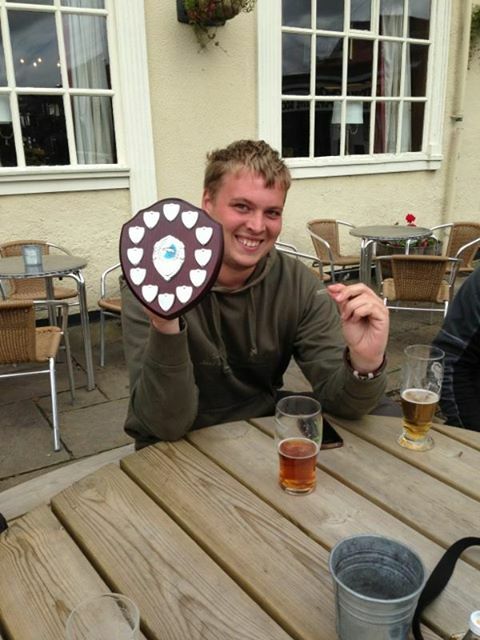 It was Nick Kozlowski who managed to bag the winning fish and take home the trophy, well done that man. 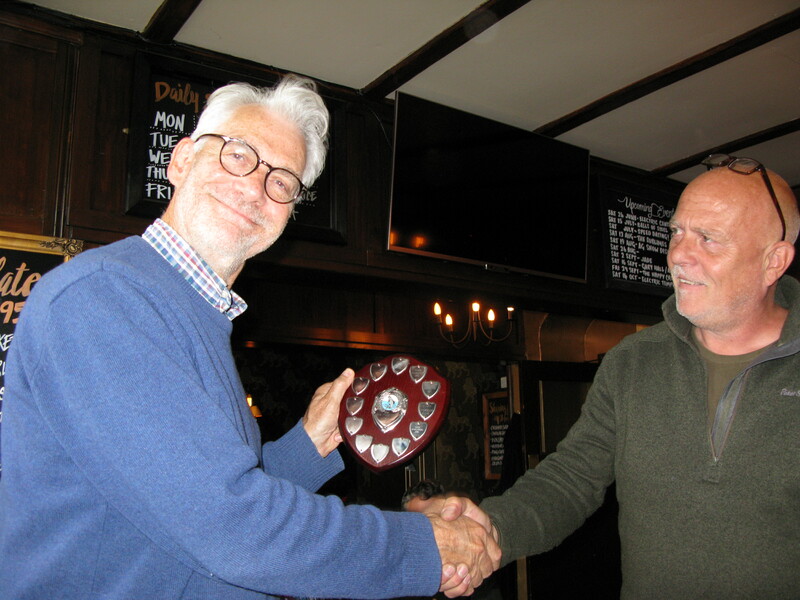 The competition drew to a close with a few beers in the local pub and a fair bit of fishing banter, once again seeing that the Lead Trout Trophy was a success, until 2017 Tight Lines. At our AGM in February you told us that you’d like us to organise a ‘walking the beats’ morning. This is especially relevant for new members, and existing members who don’t get to fish the river frequently. We met at the Hemmel Cafe, Allenheads for Bacon butties before we set off into the rain, we had a good day managing to hit most of the beats and give a brief description on the them, Hopefully if there is more interest we can have another day and go a bit more into depth on how to fish these stunning places. On Saturday 18th October we held our 'End of Season' celebration it was open to members and their families and as it was the first completed season since the opening of our new trout fishery we held it on site at Coatenhill Lake, at Spartylea near Allenheads. It was a fantastic evening with an excellent atmosphere, the perfect way to send off the 2014 season. A massive thank you goes out to all our members and the many people behind the scenes that made 2014 another fantastic season! There was a group of around 11 members who met at the Golden Lion at 9 am for a bacon sandwich and a cup of coffee to discuss tactics and fishing locations.The weather was dull and misty with a slight chill to the air. The river levels where sitting above average but it was running clear! Prospects where looking good for the day ahead. (we definatly chose the better half of the day as the afternoon was a wash out, sending the river levels soaring and colouring up the water). Everyone departed Allendale at 9.30 am to fish there chosen beats, the fishing was to last 2.5 hours and everyone was to return to the Golden Lion for 12.00-12.30pm. We all met back at the Golden Lion to compare pictures of the fish we had caught, I think most people managed to land at least one fish, the competition was extremely close again this year but this time between Mark Charlton and Graeme Edwards both had been fishing within close proximity just one beat apart.but after much deliberation it was decided that Mark Charlton was to retain the trophy for another year. "A bloomin' freezing day, horizontal sleet - lovely! Thank you Jason for showing us the ropes and to all the members who braved the elements!" The group met Jason at Dirt Pot to help complete a section of willow spilling he has been working on. It was terrible weather with freezing winds and sleet lashing down, luckly we managed to get a slight break in the weather, so we all set about making stakes and trimming the willow into foot long sections ready to be planted in the hope they will take root and help stabalise the river banks. We planted stakes and willow cutting in a section about 100m long but unfortunatly in some places due to the high flows we could not get into the river to weave the willow between the stakes, this will be completed on a later date when the river levels have had a chance to fall. Overall it was a sucsessful afternoon, if not a very cold one, which in turn made the prospect of a pint at the AGM later that evening all the more appealing. 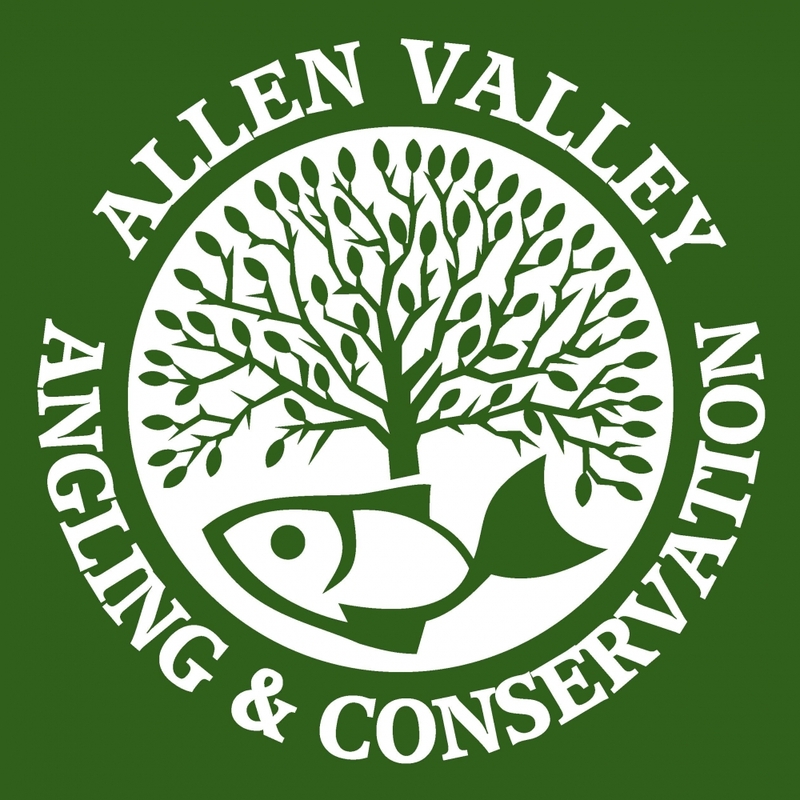 If you are interested in joining us for similar projects in the future, get in touch via email on info@allenvalleyanglers.co.uk - we'd love to hear from you! After the freezing start to 2013 the traditional date for the Lead Trout Trophy saw the East Allen frozen over! a new date was finally set in June. The group of around 20 members met at the Golden Lion at 8.30am for a bacon sandwich and a cup of coffee to discuss tactics and fishing locations.The weather was slightly overcast with a light breeze! near perfect conditions and with the river levels sitting just slightly above average and falling all the time prospects where looking good for the day ahead. Everyone departed Allendale to 9.00 am to fish there chosen beats, the fishing was to last 3 hours and everyone was to return to the Golden lion for 12.30-1pm. I personally had my eye on the top end of sinderhope beat and up over to the Lower reaches of the Teham beat and did it pay off! landing 8 trout on a small gold head fished with a black spider on the dropper. The river here is very thin and the best advice I could give is to fish light and keep low I was using my weight 1, 6ft Flyweight rod! We regrouped in the Golden Lion to compare pictures of the fish we had caught, I think everyone managed to land at least one fish, the competition was extremely close between Mark Charlton (me) and one of our youngest members Lucy who was fishing the town beat with her father Peter Hamilton. They managed one fish but it was a beauty! 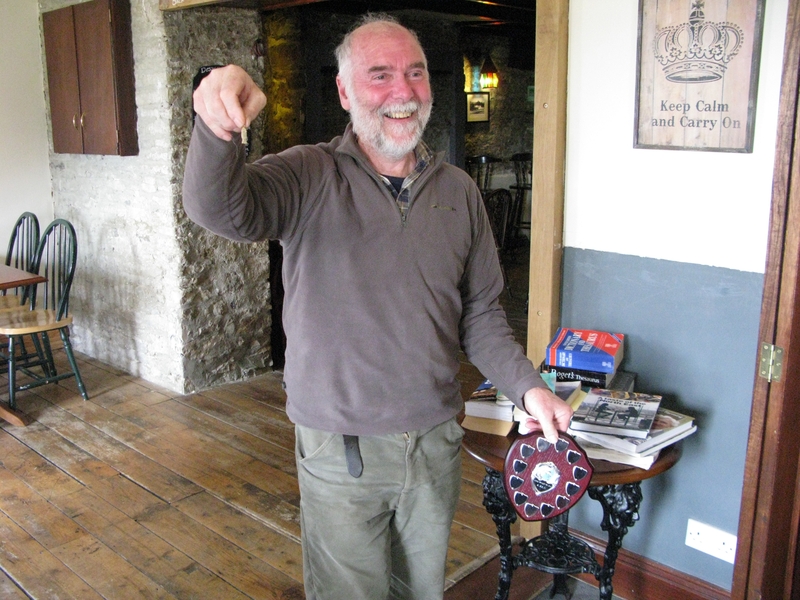 Mark Charlton took the trophy with Lucy's fish coming in a close second. A group of 20 members gathered at 8.30am at The Allendale Bakery, Allen Mill. The bakery opened early for us and provided us with a hearty breakfast of Wiltshire Cured bacon on fresh brown baps baked on the premises - all washed down with a cup of tea or coffee. The chat in the cafe focused on sorting out the fishing lots and establishing the best - and worst - places to fish. Given the beautiful warm sunny weather and very low water, we knew we were in for a challenging morning! Graeme and I headed off to the Tedham Beat. Parking along the track that runs to the side of the old Flour Mill (now Baines Travel), we tackled up then headed off through the field following the route of the 'Tea Trail'. This was new territory for us. The track took us on a steep climb, high above the river, from where we had a good vantage point to spot some great shady pools below - though finding a route down to the waters edge was tricky. Once in the river though, we realised what a fantastic little fishing beat this is. Despite the lack of rain and low water levels, at times we were wading to waist height. The river-bed was sandy at first, turning to solid bedrock that resembled paving as we moved down-river. After an hour and a half, it was time to head back - the scramble back up to the path was hard going in the heat and in chest waders! The gang re-grouped at The Crown in Catton, for a refreshing pint of the locally brewed Allendale Ales and to decide the winner of The Lead Trout Trophy. All agreed it had been a tough morning! Clifford was fishing under the bridge on the Sinderhope beat, where he could see fish rising, but was unable to tempt them to the fly. Brian and John fished at Old Man's Bottom, where the Ford was almost dry - they were also out of luck. As were Nick, Peter and Lucy - all fishing on the Allendale Town Beat. 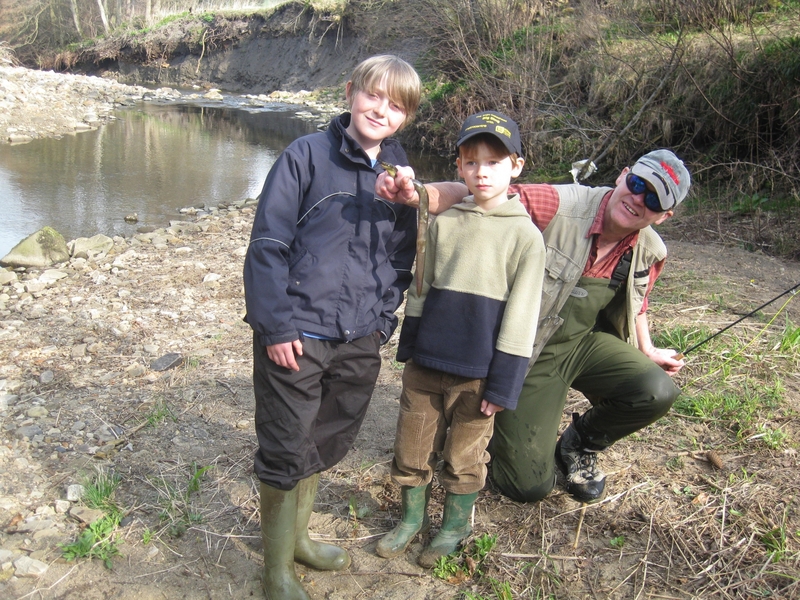 The only fish caught on the Allendale Town Beat was an eel - hooked by Paul at the site of the recently removed tree and who was fishing with Diane & junior members Conor & Thomas. Paul and Davey managed a Brown Trout Smolt and it looked as though they might pick up the prize until Chris Pearce joined us having caught two brown trout in the faster waters of the Tedham Beat - one at 5" and the second slightly larger at 8". 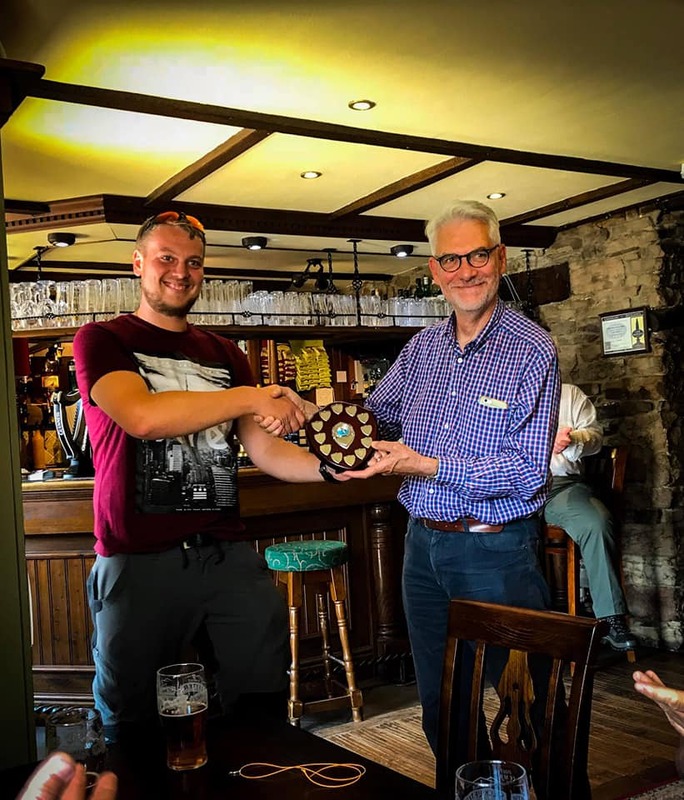 So, it was Chris - who made the trip over from Carlisle on the day, having joined the club a week or two earlier - who took home the Lead Trout Trophy. Chris becomes the first winner of the AVAC Open Season Event. A small team met at Allen Mill Bridge at 10am, before heading downstream to start work on removing a fallen tree. The huge tree became unstable due to bank erosion and when it fell, stretched from bank-to-bank, causing a major obstruction to fish passage and also to anglers. The small team grafted for 6 hours - stripping and removing brash from the river, which was burnt on the riverside as well as sawing the mighty trunk in to manageable pieces, which were then winched out of the river and chopped in to logs. The stump and root-ball were removed a week later by contractor Geoff Watson, using a 10-tonne winch. As well as clearing the obstruction, making it possible for anglers to reach the lower limit of the Allendale Town Beat without having to go climbing, the pool carved out by water flowing through the woody debris has created a perfect environment for brown trout and migratory fish to rest and feed and should be a great little spot to fish! We are especially grateful to Jason Telford, professional river management engineer and member of Allen Valley Angling & Conservation, who provided expertise, equipment and hard graft on the day. Visit Telford's Countryside Contractors on facebook for more pictures and don't forget to 'like' his page as a thank you. Thanks also go to Jason's sons Ozzie and Adam - who are also members of the fishing club, Nick and AVAC committee members Paul Frear, Clifford Jackson and Richard Heather. Following the success of our first Sage volunteer day, we were delighted to secure a second volunteer day with Sage. 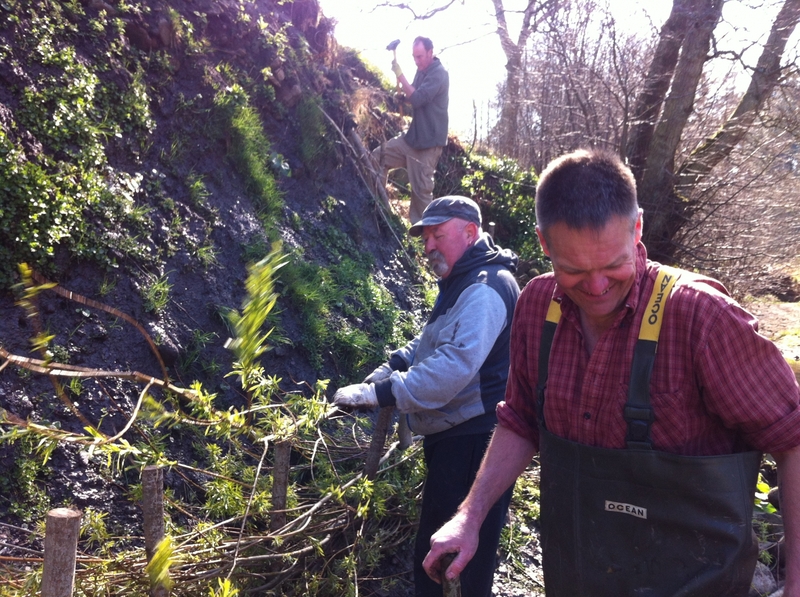 After a bacon sandwich and introductory talk at the Allendale Bakery, 20 volunteers – all employees of our sponsor, Sage UK - rolled up their sleeves and got stuck in to a day’s conservation work on the River East Allen. During the morning, two teams were set to tackling Himalayan Balsam, clearing 15 bin bags full! Another team removed a fallen tree from the lower limit of the Allendale Town Beat with the help and guidance of club member Jason Telford. The afternoon was spent clearing overhanging trees at Allenheads, opening up a stretch of river behind the Hemmel Cafe to anglers. Please do get in touch with us at info@allenvalleyanglers.co.uk if you want to take part and/or to be kept informed about details of the event. 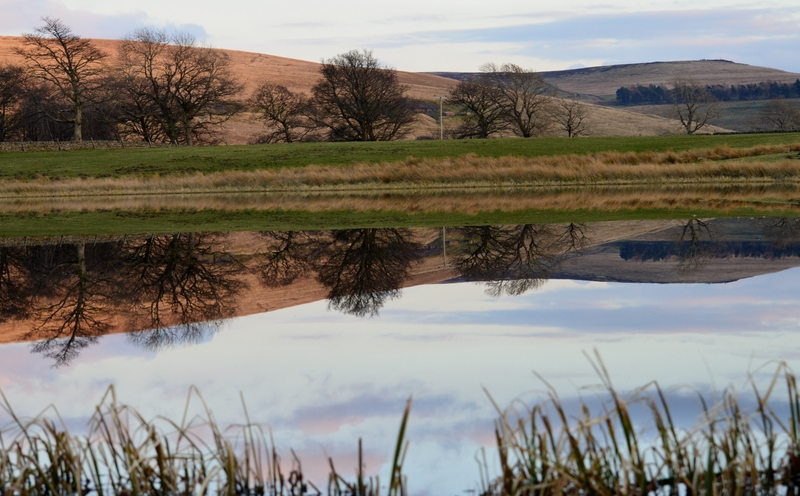 Sign up for membership: Once again, Allen Valley Angling and Conservation will be welcoming new members to the club at the Allendale Agricutural Show. 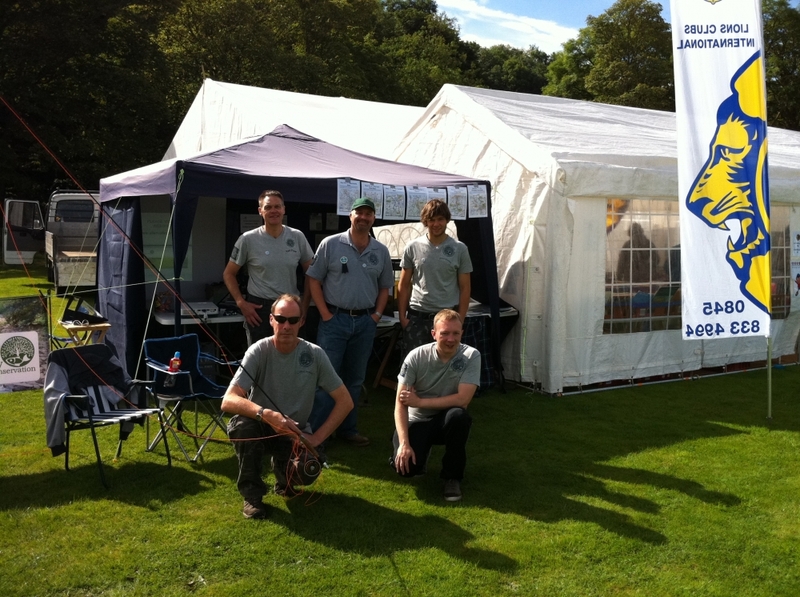 We are offering new members the chance to sign up for the 2013 season - with fishing for the remainder of 2012 free of charge. Get involved as a volunteer: We are also hoping to expand our team of volunteers interested in getting involved with our conservation and river management efforts - our working parties have achieved some great things so far this year and we've had some fun along the way, so if you think you might enjoy rolling up your sleeves and bashing some balsam, then let us know! Have a go at our casting competition: Once again, we will be holding a casting competition - designed to test your accuracy! Last year, it was the ladies who shone under pressure, taking the top four spots, with winner Jodie - the last entry of the day - hitting the bulls-eye with her first ever cast! This year, we'd like to see more members having a go. Try your hand at river fishing: We will also have access to the river and will be running taster sessions to introduce complete novices to the thrills of river fishing. A group of 20 volunteers – all employees of our sponsor, Sage UK - descended on the River East Allen to do a day’s conservation work. The team tucked in to bacon sandwiches, whilst Paul Frear (Secretary and Founder of Allen Valley Angling & Conservation) and Graeme Edwards (Club Chairman), gave a talk about the river and the importance of river management as a pre-requisite for a healthy and sustainable fishery. Our conservation warriors were then split in to two teams, with each team tackling tasks from our identified project streams – bank repairs, path creation and removal of harmful woody debris. The energy and enthusiasm with which the team tackled the tasks they'd been assigned was amazing! The team extended the section of willow spiling that had been planted in April by a further 20 metres. It was pleasing to see that the hedge planted in the spring has taken root - surviving all the flooding and that it is doing its intended job - there has been a further huge landslide at the site, but the willow hedge is holding its own. The team also transformed sections of river bank at Tedham and just above the Allen Mill Bridge - creating easier access for both anglers and walkers alike. 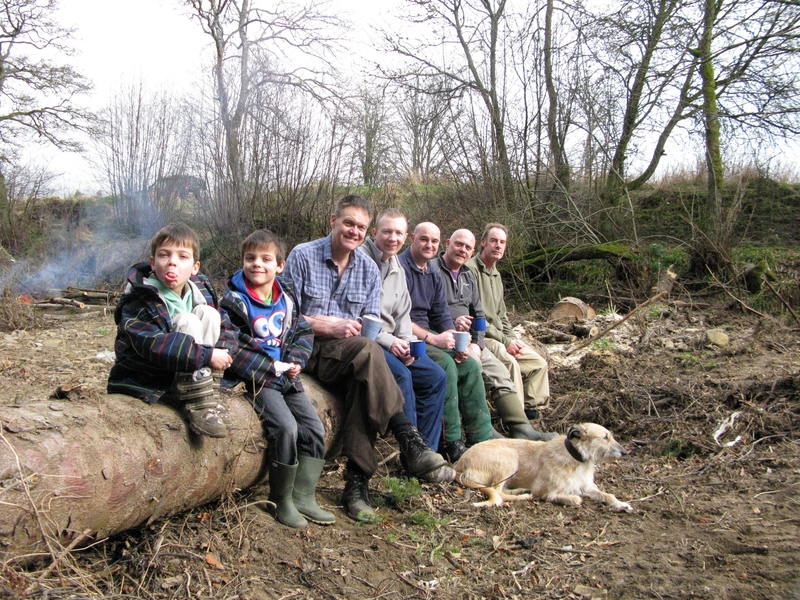 A team of 5 bearing loppers, chainsaws and sledgehammers met on a beautiful spring morning and headed to a stand of willow that had sprung from mature willow fencing and that was sited just below the lower limit of the Allendale Town Beat. 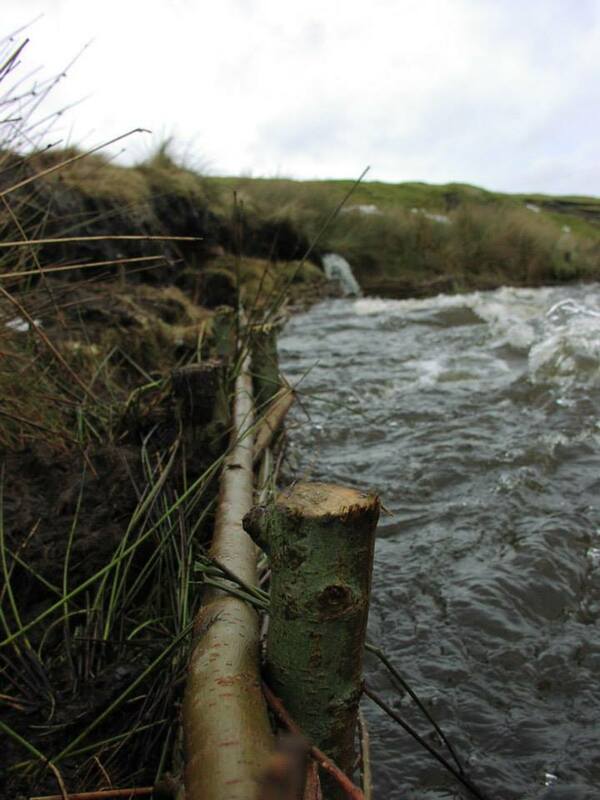 The goal was to build a similar fence using the shoots that had sprouted from the mature fencing, in the hope of preventing bank erosion further up-stream. 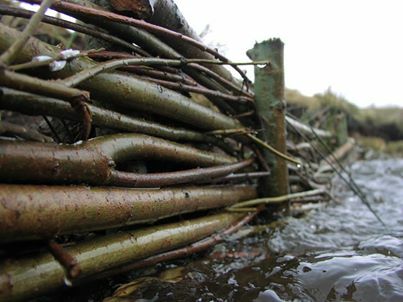 Clifford and Paul used chain saws to fell the willow, whilst Sarah and Chris formed a chain across the river to drag the willow to the bank, where Wilfy began stripping the branches and tying them in to bundles. The trunks were cut in to stakes of about 3 feet in length and carried - along with the branches - to a trailer for transportation to the site. 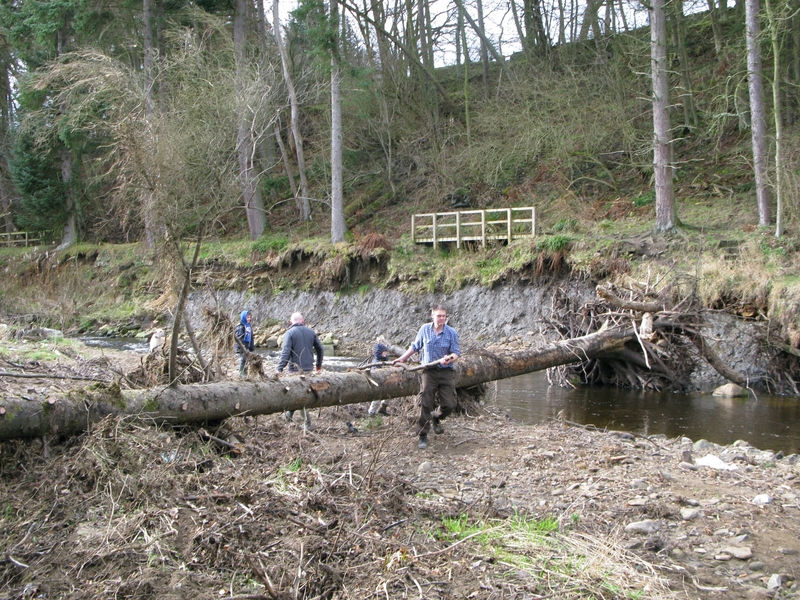 The site that had been chosen is the same stretch of river bank on the Allendale Town Beat where just two weeks previously, a different team had worked to remove a fallen tree from the river itself (see below). With the tree removed, two fishing pools have been created - the hope is that by preventing bank erosion at the site, the pools will be protected from silt deposits and continue to provide shelter and habitat for the wild fish. Once at the site, the team worked hard to drive stakes in to the river bank and weave the willow between them - taking care where possible to push the branches in to the soft mud of the river bank in the hope that it will take root - making the structure more stable and creating a further source of willow for future soft engineering works. As we sat by the river bank, having used up all the raw materials collected and prepared earlier in the day, boiling up a brew and enjoying the sun, we all agreed that it had been a lovely way to spend a Sunday morning - out in the fresh air, getting some exercise and creating something that should help to stop the erosion of this small stretch of river bank. 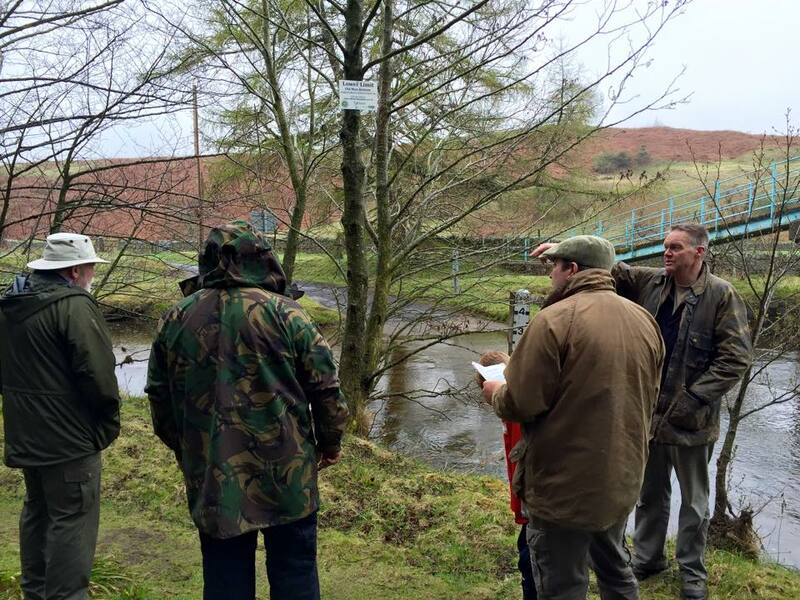 There is still so much to do, if you are interested in joining us for similar projects in the future, get in touch via email on info@allenvalleyanglers.co.uk - we'd love to hear from you!